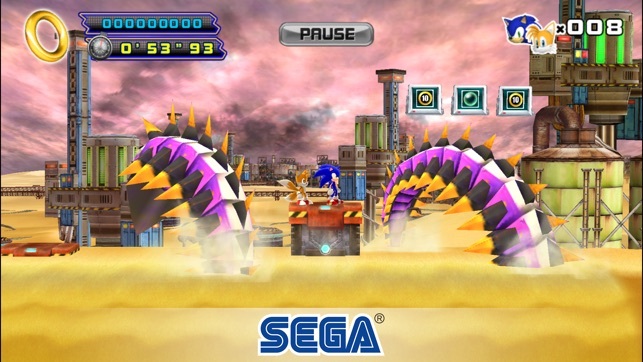 I am giving this game 5 stars because of so much reminiscing from the classic Sonic the Hedgehog games. I was 8 years old when Sonic came out in 1991; if it weren’t for Sonic, I wouldn’t have developed an interest in video games, and have loved his games since then...not including a few past and present flops (Sonic Boom the worst of it all). I’ve even done much fan art and my own story writing/graphic novel work, as many fans of pretty much *anything* will do. However...I am removing a star because of the “update”. When I first got this game I had to buy it...but it was ad free and wonderfully enjoyable. Now with the downgrading “update”, I have to, in a sense, buy it a SECOND TIME just to remove the ads! I tried to restore the purchase of the game, but I only got an error, telling me that there were no purchases to restore. That takes the enjoyment of the game and tosses it in a pit of fire. This issue is apparently a very large problem for all players who have already paid for the game. And if this “update” moves to episode I, which I have as well, there’s going to be a lot more upset players who have already paid for the game(s). 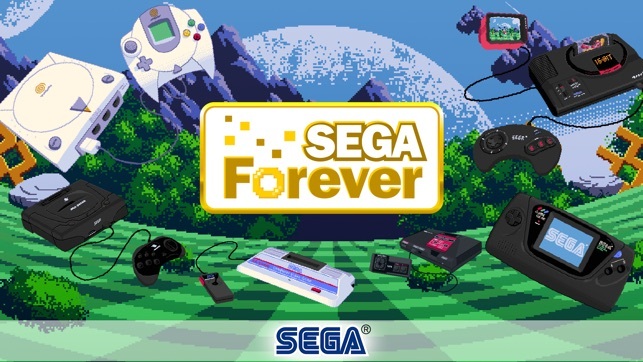 Please, Sega, either refund all purchases that were done to originally buy this game, or automatically upgrade the game to premium for those players who have already paid for the game. It would make a whole lot of rather unhappy players feel better. This game is really addictive to play until I beat just recently, all in a couple days. 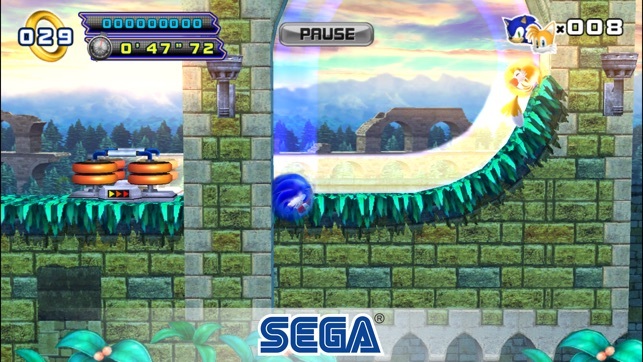 The game is a great part of my past, as it was my first look into sonic the hedgehog, back in 2013. My only problem is sometimes the game can have some internet connection problems and be a little slow at times, but nothing really to complain about. Really good transfer in my part, from the gameplay to music, it’s not too bad. The only thing I have to confess about is, why is episode 2 free on the App Store and episode 1 is 2.99? Like it make no sense to give the second game free, but the first not. Because if people play this first and play the original second, it can mess up the entire experience and vibe, so at least make the first free, to be just as popular as the second, if you can. Overall, great game, just one marketing flaw and it’s perfect. So thanks sega!!! 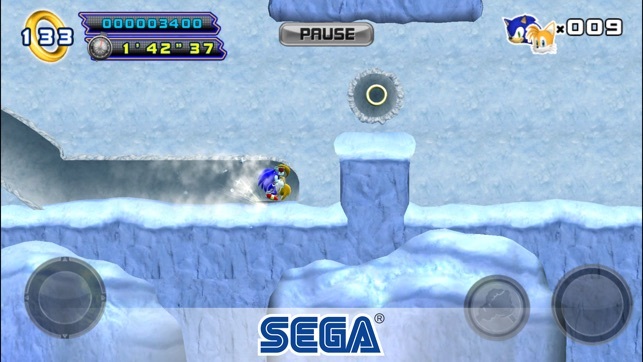 Ps: Still waiting for Sonic 3 and Knuckles and Sonic Spinball Remastered for the complete sonic experience!!! This is actually a fun game. After hearing so many bad things of 4, I got a little worry-some, although it's actually pretty good. The homing attack makes things a little too easy; but it's fine. The problem is, though, the controls. 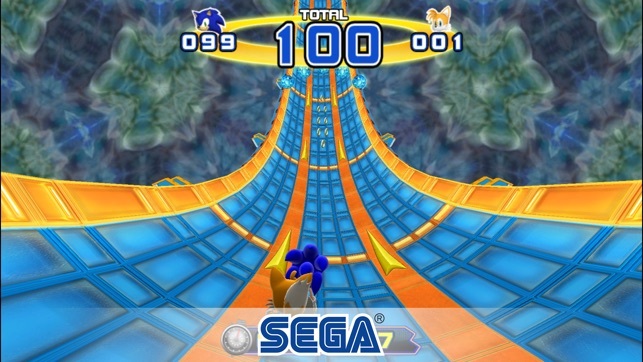 The control stick which you use to control Sonic and Tails is pretty bad, and, despite looking the same, is nothing like the ones used in the Christian Whitehead remakes of the originals. First off, it's too small. Not only is it hard to move it around because of this; but your hand is always falling off the stick. My suggestion is to add a ability where you can make the stick larger, or smaller, like in the remakes. Something else, is performance. There is something wrong with the performance; I don't know if it's frame rate or something else. When standing still, everything likes decently fine. Also, I'm on an Ipad Mini 4, one of the newer devices, so I'm pretty sure it's not on my end. In the end, a decent game almost completely ruined by controls. 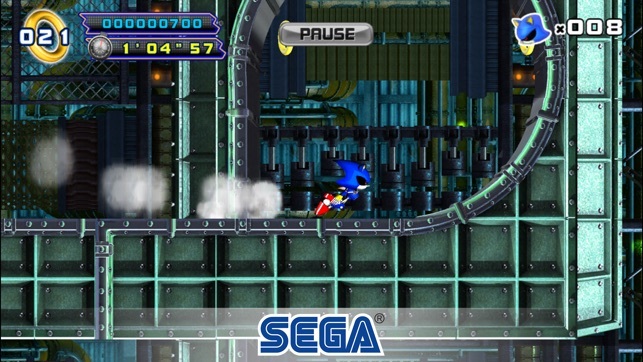 © SEGA, the SEGA logo, SONIC THE HEDGEHOG and SONIC THE HEDGEHOG 4 EPISODE II are either registered trade marks or trade marks of SEGA Holdings Co., Ltd. or its affiliates. All rights reserved.